Our skin sweats a lot during the summers, which results in oil, dirt, and dust accumulation on the skin surface. These accumulated external agents cause rashes, and other skin disorders. Application of oil-based, heavy moisturizers might aggravate the situation. Hence, it is essential to use liquid-based moisturizers that make your skin feel hydrated and light. Use the best sun cream for face and look fresh even if you are outdoors the whole day. Continuous exposure to sun rays can cause skin disorders. Hence, it is necessary to apply the best sunscreen lotion that contains SPF. The cream helps to form a protective layer on your skin. Apply the sunscreen lotion 15 minutes before you step out in the heat. You can re-apply the cream if required. Continuous sweating causes accumulation of harmful external agents on the skin surface, which clog the pores and lead to acne breakouts. Hence, it is essential to exfoliate your face twice every day. Also, it is important to remove the makeup completely every night before sleep. Skin treatment products along with liquid based toners and moisturizers will help to keep your skin hydrated and fresh throughout the day. A facial treatment provides complete protection to your skin. Pampering your face once or twice a month will help to maintain a shiny and smooth surface. Also, you can use skin treatment products suggested by your dermatologists on a daily basis to purify and detox your skin. Skin needs to be cleaned and exfoliated every night before sleeping. After washing your face, you can apply facial oil and keep it overnight. Skin treatment products such as facial oil are light on the face as compared to night creams, which make the skin greasy and heavy. Also, it is advised to wash your hands before applying and avoid touching your skin after you have applied the oil. Surprisingly, lips are more prone to damage caused by sun rays as compared to the skin. It is because of the absence of melanin in our lips. Skin treatment products such as lip balms will help to maintain the moisture of your lips. Try buying lip balms that contain SPF 15. 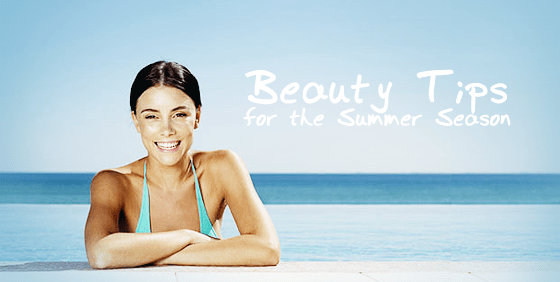 Tanning of skin is quite common in summers. Excessive tan, if not treated at the initial stage, might result in severe skin problems. Application of the best sunscreen lotions will help to prevent skin tan. Use the right sunscreen for face and skin treatment products suggested by your dermatologists. It will keep your skin safe and protected from the humid climate. Interesting post and great tips!!! Great tips.. I want to try the facial oil.. Wish you a great week ahead!!!! Fun and informative post to read! It’s so important to take care of your skin, before and after you go out in the sun! Great tips dear!! Thanks for sharing! !